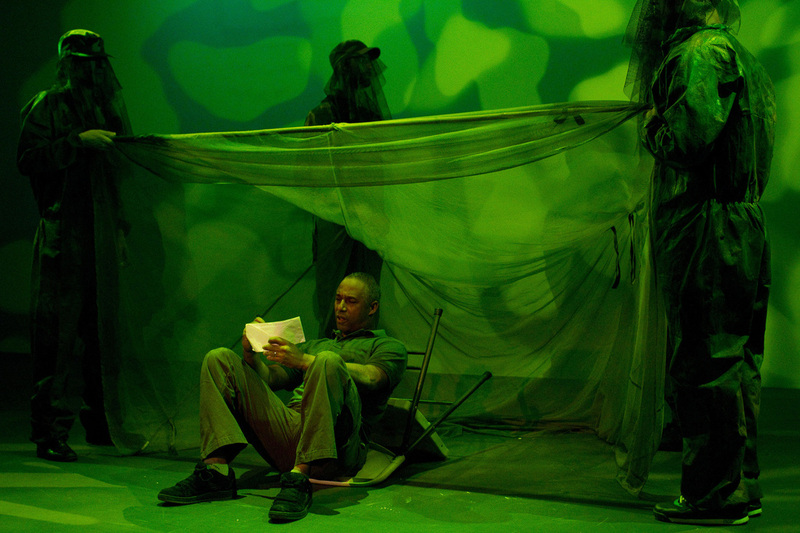 "In Tickets to Manhood, a new play featured this month as the centerpiece of the Dixon Place HOT! Festival in New York City, writer James Scruggs tackles the question “What makes a man today?” He believes that in America, while religious ceremony, military service and marriage were once a boy’s route to manhood, gang violence, drug addiction and imprisonment have also become coming-of-age milestones as our society has become more and more urbanized. Tickets to Manhood is a smart play, full of believable and interesting characters who collide in a powerful and shocking ending. The actors perform well both individually and as an ensemble, particularly author James Scruggs, who manages to evoke a laugh or tug at the heartstrings virtually every time he speaks. For everyone who is a man -- or knows one -- this is a piece worth catching." For those men struggling to understand themselves and those women trying to understand the men in their lives, the play invites the audience to ponder, reexamine and evaluate their views on masculinity and what it means to be a man. During a Jul 16 performance, the audience of approximately 50 people sat transfixed in the small theater. Each actor executed his lines faultlessly and imbued his delivery with passion and emotion, as if undergoing some cathartic experience and it was clear that the all male cast had worked hard to master their parts. After the reading of Tickets To Manhood that I attended with about 30 other people in Northampton, MA 2 months ago, audience members opened their feedback by saying they felt “ripped open” by what they had just witnessed. There was a physical charge of sadness and tension in the room, and yet it was not hopeless. It was the tension of engagement, the tension of creation. James Scruggs has that impact on people. “Tickets to Manhood” looks at the ways in which men go through rites-of-passage in some very damaging ways as children and young adults, questions the absence of conscious men as role models, brings together a group of men with very hard stories to tell [race, incarceration, military service, religious abuse], throws into question what the role of a ‘weekend workshop’ can be in the process of providing a meaningful rite of passage … and demonstrates how a poorly facilitated group can go horribly wrong. It subtly holds up a mirror that was not always comfortable for me to look at. It has an element of ‘the Sorcerer’s Apprentice’ in it that left me feeling challenged; wondering what right I have to try and facilitate ‘men’s work’ … and at the same time … demonstrating how desperately needed ‘men’s work’ is. And it definitely showed me how much I have learned about creating real safety and opportunity for men in a circle, because there was a voice in my head screaming ‘NOOO!! !’ at several points in the production. The story that is told about who we are (even in our own minds) is different than the reality. What makes a man a man? Is every adult male a man? Religion, imprisonment, gang violence, marriage, and military service shape the perspectives of adult males reflecting on their rites of passage. There is no formal rite of passage for boys entering adulthood in America today, so the men of Tickets make choices that greatly affect the kind of men that they eventually become. All the men ponder what made them a man, when that occurred and what kind of man they are currently.